If so, they almost certainly owe you money. Can we quickly show you how to recover the hundreds or even thousands of dollars that Amazon owes you right now? Are you receiving every reimbursement you deserve? Are you looking for a step by step process on every possible way to make sure you are obtaining every reimbursement you deserve? 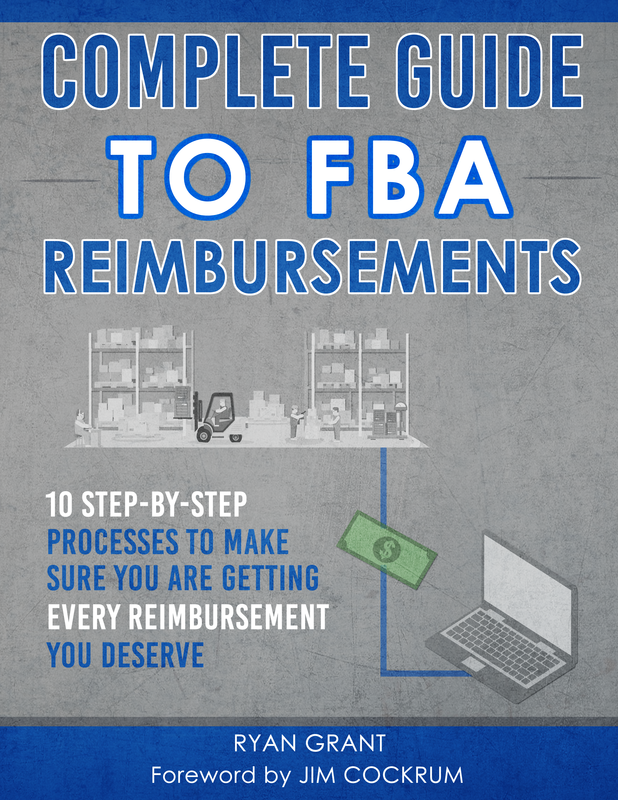 If so, the Complete Guide to FBA Reimbursements is just for you. This comprehensive guide contains the obvious and not-so-obvious best practices of obtaining reimbursements when selling via FBA. Think of this guide as your step-by-step manual for recovering all of the money that has slipped through the cracks. If you aren’t intentionally monitoring reimbursements from Amazon, then you are leaving money on the table. It’s that simple. This guide outlines how to put money back in your pocket. 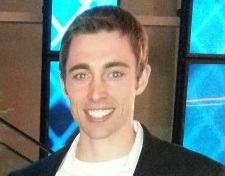 The author, Ryan, has been selling on Amazon.com since 2008. Through the tens of thousands of transactions, he has perfected a system for recovering reimbursements. It’s all of which are laid out in this guide! Each step is documented step by step with screenshots so you can easily identify and recover missing reimbursements in as little time as possible. How many methods are you using to recover missing reimbursements? If it is less than 10, this guide will show you exactly what you are missing. Once you’ve identified the issues, simply copy and paste the templates we provide, and you’ll be on your way to recovering missing reimbursements. The Complete Guide for FBA Reimbursements consists of information for people of all skill levels, whether you’ve been selling on Amazon for year or if you’ve just started in the past few months. This guide will benefit you and dramatically increase the cash flow of your business by making sure you receive every single reimbursement you are owed. If you go through every process in this guide and you don’t receive more in reimbursements than you paid for this guide, then it’s FREE! 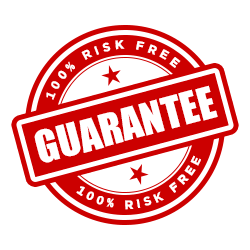 I am confident these processes will put money back in your pocket and with this guarantee it is risk free. I've come across a few really good guides to reimbursements, and this is hands down the best. It's the most organized and thorough walk-through for every type of reimbursement you could possible be owed by Amazon. I have already been reimbursed hundreds following his instructions, and that was only using one of the chapters... and there are 9 more to go. I anticipate thousands that Amazon owes me, and thanks to The Complete Guide to Amazon FBA Reimbursements, I'll get back what is rightfully mine. I absolutely LOVE the Complete Guide To FBA Reimbursements by Ryan Grant. I have learned how to get reimbursed for Amazon inventory that has been lost, damaged or destroyed. As well I learned that when Amazon gives a customer a return, a lot of times the customer does not actually return the product therefore I have PAID the customer to keep my product!!! I immediately started implementing what I have learned and have already received almost $1,000.00 in reimbursements and have barely put a dent in all the items I have to submit. I highly recommend this product to anyone out there wanting to make sure they are getting everything they are owed by Amazon. I am a big fan of selling on Amazon. Verifying reimbursements was a pain point, but I came up with a strategy over the years to lessen the pain. I want to share my process with the entire Proven Amazon Course community. The goal of this guide is to help the operation and cash flow of your business. It will help you recover every reimbursement possible and put that money back in your pocket. The A to Z refund guide was probably the best $19 I've spent in my life. Of the 10 steps, I'm still working on Step 1 and have already gotten over $7,000 credited to my account this week. I knew there was some slippage but didn't really take the time to figure it out because I thought it was minimal. It just goes to show that you don't know what you don't know and I'm glad that I do now! Oh yes this worked for me. I have only been selling since last December, and received $250 and change with still a couple of items outstanding as they were recent. It is awesome, highly recommend it for everyone who does not know how to check on lost/damaged/etc……. worth every penny and then some….. I've had the feeling that I was missing out on $ when it came to managing my inventory. After implementing just a few techniques in this training, I was rewarded with $150 reimbursed from Amazon. This is money I didn't even realized was owed me! As we all know, Amazon's reporting leaves a lot to be desired. This step by step guide takes away the frustration and puts you back in control. These reports have now become a part of our monthly business reconciliation. Over $2650 in reimbursements from Chapter 1 of the AZ Refund Guide and I am not done submitting for chapter 1. If you have not started to use this guide you are missing out. Thanks Ryan Grant and Jim Cockrum for a great resource! I have gone through our reimbursement files and have received $340.00. Thank you very much for offering this program. It worked great! We were able to follow the steps in one day and recover almost $800. We will use again in the future. Thanks! For a while now I have had the uncomfortable feeling that Amazon was not refunding me correctly for all of the lost,damaged or not returned merchandise. I was running some of the reports to reconcile my shipments, returns, etc., but it started to get out of hand as my sales volume went up. I have to admit that reports give me a headache, and I was not really confident that I knew precisely what to do, so I was ready to pay a company to do it for me. Here comes the Complete Guide to FBA Reimbursements by Ryan Grant. This guide is pure perfection! Ryan gives the step by step process with screenshots and even sample messages that you can copy and paste for opening a case on Seller Central. This is a A-to-Z no thinking required process! So I rolled up my sleeves and applied it immediately. Results? Over $2,000 in reimbursements that Amazon now owes me. YEAH!!! This guide TRULY puts money in your pocket!!! Thank you Ryan for putting it together! This guide is AMAZING. It shows you all the different ways to get reimbursements and it walks you through each in a step-by-step process with screenshots of each step. It's so well written and clear that I bet you could hand it to a VA and they would be able to use it to file all the reimbursement requests without needing to ask you anything. I have submitted items to Seller Central and we have been reimbursed. The instructions are step-by-step and I look forward to incorporating this into our regular routine. A+++ - Clear, precise, easy to understand for the beginner or for the pro. Great price for anyone. 3) Thorough. Comprehensive List of ways to be reimbursed. I'm not sure if these are all the ways but they're pretty darn close. Overall I have received over $3,500 on reimbursements and I'm not done! Great, thorough guidelines to use or even to outsource to your VA.
After implementing the strategies in Ryan’s e book, I immediately went into my account and found some things that I was not sure were refunded properly to me. One shipment in particular that I had forgot to check on. I went ahead and followed this procedure and got $191 refund this morning!! This stuff really works!! I highly recommend this book to anyone selling on Amazon... Thanks Ryan!! I do trust in the honesty of the FBA group - if you tell them about a mistake, I firmly believe they will fix it. After reading this brief guide, I identified approximately $500 that they owed me. I promise I will re-write this review if they don't make it good, but I fully expect that FBA will take care of my requests - which I would not have found were it not for this book. You have heard the saying, "You're leaving money on the table." 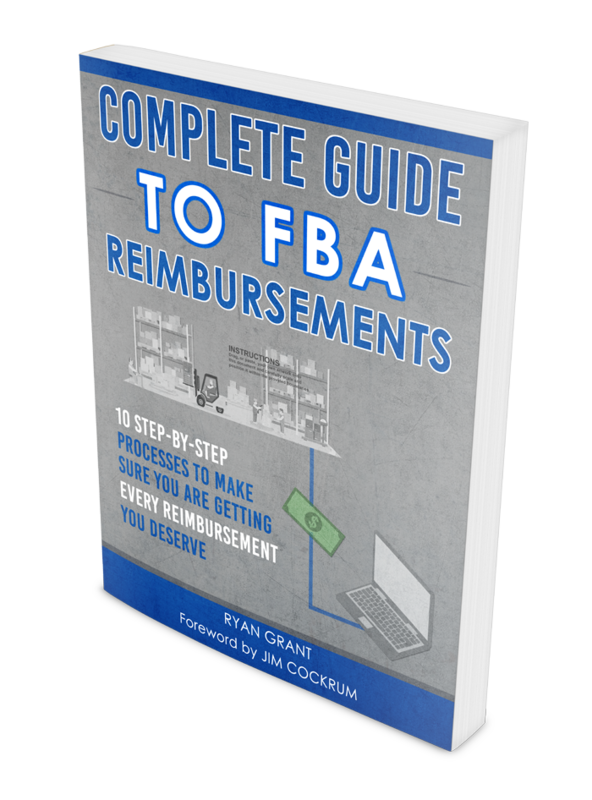 Well, Ryan Grant's guide, Complete Guide to FBA Reimbursements, helps you find and recover the money you may have waiting on your FBA table. Ryan presents a very detailed approach to recovering moneys owed to you for lost, damaged, or destroyed inventory. It was a bit of a shock to see how many things Amazon might owe us money for. As a bonus, we learned a great deal about navigating Amazon reports. This is a part of our Amazon business we will be reviewing every month going forward. We highly recommended this guide to all FBA sellers! Within minutes of downloading and applying just one method, I offset the cost of the course. This information will be vital to my continued success as I grow my business. Thank you for compiling this information. Even if as a seller I know more or less the various cases to get reimbursements from Amazon I do not always know how to handle them. The added value is really in the how-to for checking, claiming and following up. It is a tutorial that shows the exact step by step process with print screens. Really easy to understand and really useful, thank you! but he's giving us a great discount temporarily!